Long overdue but it's very important that I post this. A huge portion of our savings from our Japan trip last December 21, 2016 to January 11, 2017 came from the cheap hostel rates I booked. I know there are people who really want their hotels to be at least three stars. But AJ and I, well, we couldn't care less. We're only gonna sleep there, so why waste money for something we won't spend much time in, right? 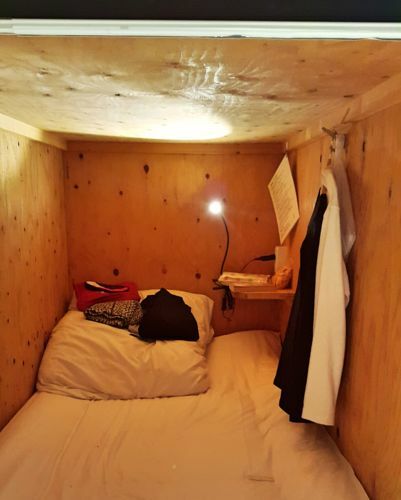 But of course, you should not sacrifice comfort and security in exchange for dirt cheap accommodation costs. Find those that are reasonably priced and are in a safe neighbourhood. 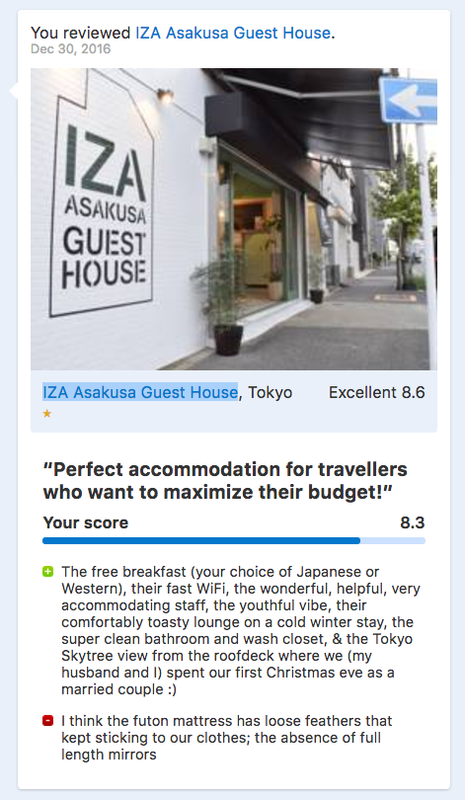 In this trip, I was still able to find guest houses that had really great reviews and offer the amenities we need AND most importantly, are just walking distance from the train station. And they're both not bad. Check out the reviews I left for the two. 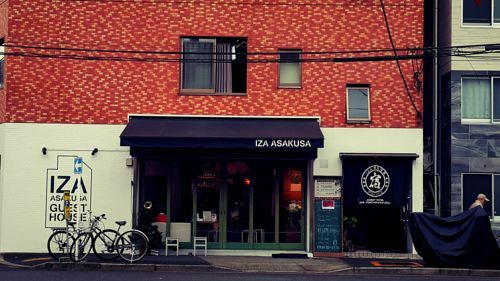 Let's start with IZA Asakusa. It's a guest house with dormitories and private rooms located at Sumida ward in Tokyo. 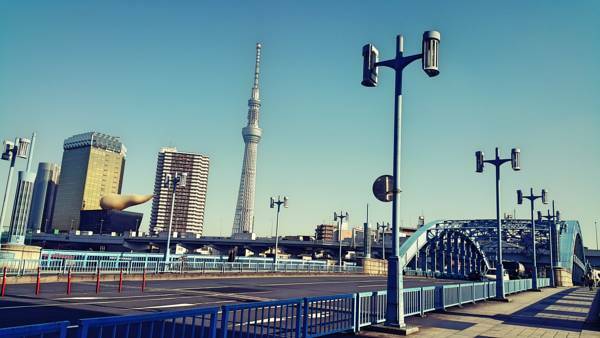 It's walking distance to Tokyo Skytree and Asakusa, where you'll find the famous Buddhist temple Sensō-ji! It's also just 5 minutes from the nearest subway station. 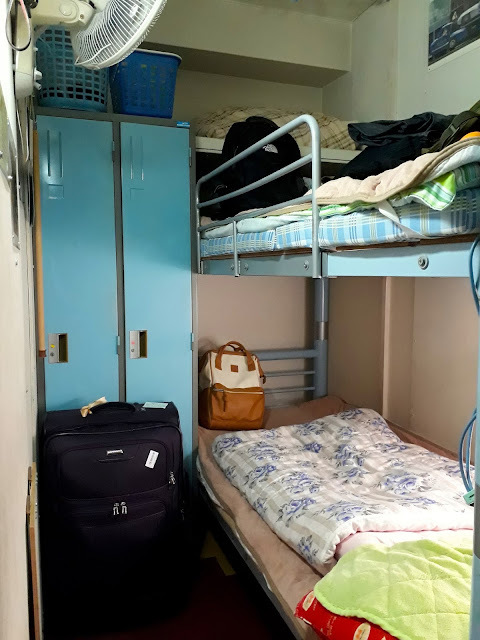 I booked two "capsules" at their mixed-gender dorm rooms but we actually ended up using just one capsule (yep, we fit!) and the other one was for all our stuff. You can see more photos from their Booking.com page (click here). Your path to IZA from Asakusa Sta. On our Osaka trip, I booked a small private room for 2 at Umeda Dormitory. The building looks like it needs an overhaul, the same as its interior. But hey, it was everything we needed - a private room, a bed that fits us, showers with heater, that's it. However, we needed to walk about 15 minutes to Osaka Station. 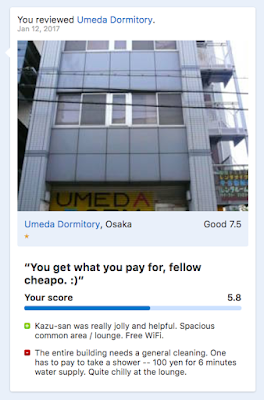 I didn't take many pictures of Umeda Dorm but you can check out their Booking.com page here. One last tip: You'll get good rates if you book via Booking.com months in advance.